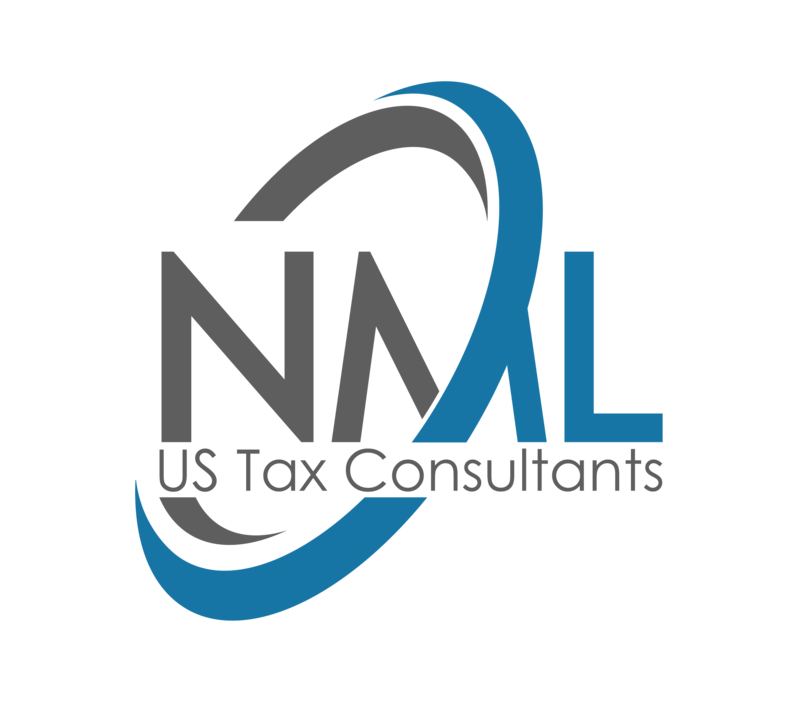 US Tax Consultants, the former SYNCORDIA, is pleased to announce that we have begun to prepare the Individual and Corporate Federal and State U.S. Tax Returns for 2016, as well as the Spanish returns. As you know, all U.S. persons (U.S. Citizens and Green Card holders) must annually file (1) their worldwide income to the IRS (Form 1040), if their gross income is at least $4,050 (married filing separately) or $10,350 (single.) Also, you must file (2) the FinCEN 114 or FBAR (Foreign Bank Ac­count Report), if you have a financial interest in or signa­ture authority over a foreign financial account, (including a bank account, brokerage account, mutual fund, trust, or other type of foreign financial account,) with an aggregate amount of $10,000 at any time during 2016. You are required to report the account(s) to the Financial Crimes Enforcement Network of the Treasury Department by filing the FinCEN Form 114, Report of Foreign Bank and Financial Accounts (FBAR). Your gross income is higher than 22.000€, received from only one payer. Or you received income from more than one payer and the amount received from the second and other payers is more than 1.500€ and the annual gross income is over 12.000€. It should include all your U.S source of income: a private pension, an annuity or SS Benefits from the U.S.A.
Por un lado, tienen que prese­ntar (3) la Declaración de la Renta, IRPF, antes del 30 de junio informando de los ingresos mundiales y pagando los impuestos correspondientes y (4) el Modelo 720, antes del 30 de marzo, informando de su patrimonio en el extranjero. Como ciudadanos americanos tienen que presentar anualmente en Estados Unidos el (1) Form 1040, declarando también las rentas mundiales y el (2) FinCEN 114 informado de las cuentas financieras que tengan abiertas en el extranjero. Form 720 of the Spanish Tax Authorities: Report of all assets abroad. This form must be filed by all Spanish Residents owning assets abroad, only if they are over the limits described below. It is required to file this form every year before March 31. Accounts in financial institutions abroad, which include current accounts, savings accounts, term deposits, credit accounts, etc. Information on each account should include the balance of these accounts on December 31st. Stocks, bonds, values, financial rights, and savings in insurance companies, deposited, managed or obtained abroad. All types of Real Estate and rights over Real Estate abroad, which include ownership of the property, actual use or enjoyment and bare ownership rights over real estate, timeshares, timeshare shifts, part-time property or similar formulas on real estate, other rights in rem over real estate. Form 720 must be filed if any of these blocks exceeds the amount of 50,000€ and only the block in which the amount is exceeded. Penalty for not filing, incomplete filing, or filing with non-accurate data, will be punished with 100€ per inaccuracy with a minimum of 10.000€. After filing for the first time, in the following years you should file Modelo 720 if you have an increase of 20.000€ in any of the three blocks. There is no obligation to include pension plans, as long as it does not happen the event that implies the distribution of the pension either for life or for a period of time. A Passive Foreign Investment Company is any foreign cor­poration that has either: (1) 75% or more of its gross income classified as passive income, or (2) 50% or more of its assets are held for production of passive income. While there are a few exceptions to the previous rules, most foreign mutual funds, pension funds and money market accounts would be good examples of PFICs. PFIC must be reported annually in Form 8621. You can choose the Mark-to-Market option. This method allows the shareholder to report the annual gain in the market value (i.e. unrealized gain) of the PFIC shares as ordinary income on the “other income” line of their Tax Returns. Unrealized losses are only reportable to the extent that gains have been previously reported. The adjusted basis for PFIC stock must include the gains and losses previously reported as ordinary income. Upon the sale of the PFIC shares, all gains are reported as ordinary income where losses are reported on Schedule D.
TAXPAYERS MUST LET US KNOW in advance IF THEY OWN A PFIC. – Qualifying widow(er) with a child — $250,000. Net investment income gene­rally does not include wages, unemployment compensa­tion, Social Security Benefits, alimony, and most self-employment income. It must be paid before April 17th, even if you live abroad or you have an extension to file. Remain more than 183 days during the calendar year in Spanish territory, unless the taxpayer proves his tax residence in another coun­try (through a tax residence certificate issued by the IRS, Form 8802). When the main center or base of their activities or eco­nomic interests, directly or indirectly, is located in Spain. When the spouse, not lega­lly separated, and minor children who depend on this individual are residents in Spain. U.S. and Spain Tax Treaty. The agreement, based on the taxpayer’s country of residence, lists some types of income and the country where the income will be taxed or exempt of taxation. I am considering moving to Spain & I want to know if my US Social Security retirement benefit will be taxed by the Spanish Tax Authorities. Correct! In general terms your US SS Benefits are taxable in Spain, but of course it will depend on the amount and if you have other income. Doesn’t Article 20 section 1(b) of https://www.irs.gov/pub/irs-trty/spain.pdf mean that US Social Security benefits are NOT taxable in Spain ? I am sorry, but that it is not my understanding. You need to read first the Article 20 1.a which very clear states that pensions and similar remunerations, SS benefits seems to me that falls under this category, are taxable in Spain. The Treaty contains a “Reservation clause” (Article 20.1 b) according to which the United States reserves the right of taxation on the SS Benefits, on its citizens and residents as if the Convention were not in force. The imposition taken in the United States by a resident of Spain on the basis of the criteria of citizenship does not give right in Spain to apply in the IRPF deduction by Double international taxation. If the United States taxes any income by making use of the “reservation clause” established for its citizens, double taxation has to be avoided by United States. So, you can only recuperate the taxes paid with the IRS Foreign Tax Credit, which means that you must file the IRPF first so you can have the deduction in your 1040. You cannot claim in Spain the deduction of the taxes paid in the USA. “Todo residente fiscal en España debe declarar en su IRPF por su renta mundial, con independencia de la procedencia de sus ingresos. Es decir, deberá declarar en España las rentas que obtenga en cualquier parte del mundo, sin perjuicio de lo que se disponga en el Convenio para evitar la doble imposición internacional suscrito entre España y el país de origen de la renta”. The AEAT has an information document, I have only found it in Spanish, which summarize some of the articles of the Treaty and how they are interpreted. Can you help me decide if I have to file a Spanish tax return for 2016? I visited Spain from 1/1/17 to 3/15/17 with 3 of those days spent in England. 74 days total or 71 days if I can exclude the 3 days in England. That was a trip not requiring a visa, from the US (I’m American). On 9/13/17, I entered Spain on a non-lucrative visa & only traveled once out of Spain to Denmark over Christmas. That’s a total of 110 days. So, based on number of days in Spain (counting the days before I even had the non-lucrative residency visa), my total # of days in Spain in 2017 is either 181 or 184. Help, please? Bottom line, I guess, is do my days in Spain before I even thought about a non-lucrative visa count and if so, do the days in England count toward my total number of days in Spain in determining if I have to file for my first year in Spain as 2017 or can I do the first tax return in Spain for 2018? I am sorry to tell you that the three days you spent in England do not count, so according to the number of days you have spent in Spain you are considered fiscal resident of Spain, so you must file tha Spanish IRPF and modelo 720. Please give us a call to the office from 9am to 2pm and we could suggest other beter options. Is the money in my 401k declarable on the modelo 720? Las cuentas 401K son consideradas pensiones, por lo que sólo hay que declararlas por el valor de lo que se recibe anualmente. I am not collecting income from my 401k yet so, to be absolutely clear, as long as I am not collecting money from my 401k for income, I do NOT have to declare this account on the 720. Is this correct?